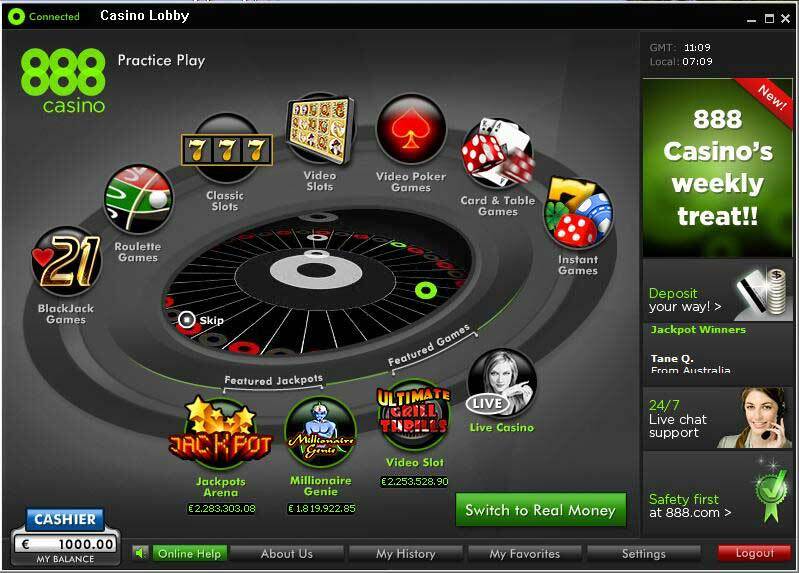 888 is a great site offering Poker, Casino games, Sportsbetting, and Bingo all in one place. They are the flagship site of their very own network, which is one of the five-most visited internet poker rooms in the world. Unfortunately, 888 does not offer shared accounts between channels. This means in order to play at their casino and poker room, players have to make two separate accounts and deposits. What this does mean, however, is they can take advantage of the bonuses available at each individual channel. 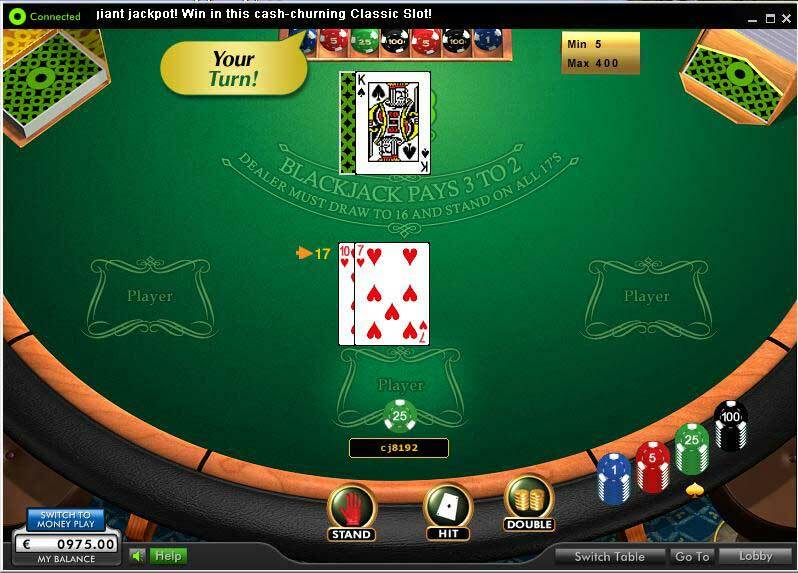 Players can clear their poker bonus via the Casino, as long as they play through the Poker Lobby. Players will earn 1 Bonus Point for every $16 wagered in the Casino. TERMS: Players must bet at least $1 on games with 1.5 odds or greater. If the bet is won, players will receive their winnings only. If the bet is lost, 888 Sports will refund up to $5 on your first 3 wagers. There isn’t a standard deposit bonus at the 888 Sportsbook. Instead, players can win free bets after wagering $5 over three games. There is also no deposit code, just use the links on this page to get to the Sportsbook and you will be automatically eligible for this bonus. To receive the free play, players have to make three online bets of at least $1 on any market offered by 888Sports. Once done, players can then place a bet of at least $1 on any game with minimum odds of 1.5 If you win the bet, keep your winnings. If you happen to lose, 888Sports will refund your lost bet up to $5. TERMS: Players must sign up through our links. Wagering requirements are based on which game(s) you play. Slots games have the lowest WR or 30x. The bonus expires in 90 days. 888 Casino does not offer different bonuses for each game; however, there are different wagering requirements depending on the game(s) you play. There is no code to enter for this bonus, just navigate your way to their site through our links, and you will automatically become eligible for the biggest bonus possible. As mentioned above, each game has different wagering requirements. The standard WR is 30x the amount of the bonus received. However, only certain games count 100% of wagers towards the WR, below is a list of the percentages that count towards clearing your bonus. One large advantage of 888 Casino’s bonus is that it is cashable, unlike the offerings of many other competing casinos. 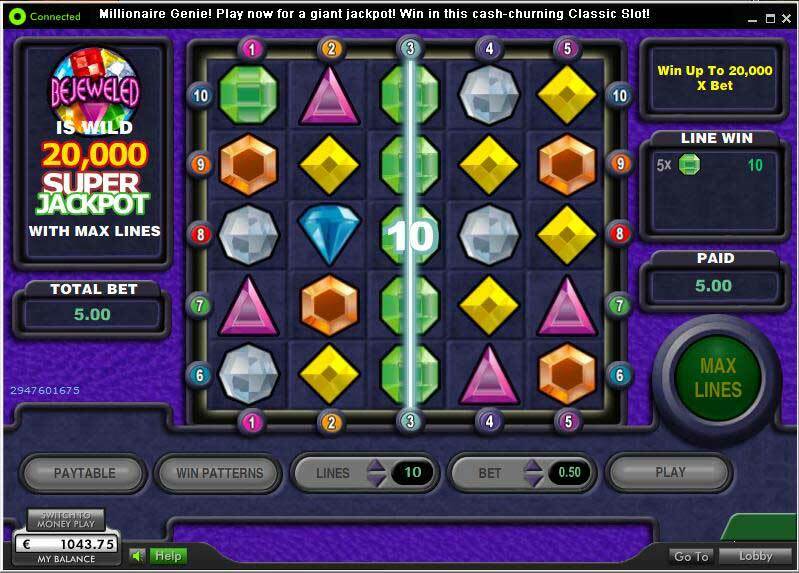 Players can play multiple games to clear the bonus. For example, if a player were to deposit $100 and thus receive a $100 bonus, he/she will need to wager $3000 before being able to withdrawal any winnings. They could do so by wagering $1,000 in Slots ($1,000 towards WR), $5,000 in Pai Gow ($1,000 towards WR), and $10,000 in Blackjack ($1,000 towards WR). Any combination that clears the bonus is acceptable. If you want to withdrawal before clearing the entire bonus, some of your winnings may be forfeited. Players have 90 days from their deposit to clear the bonus. 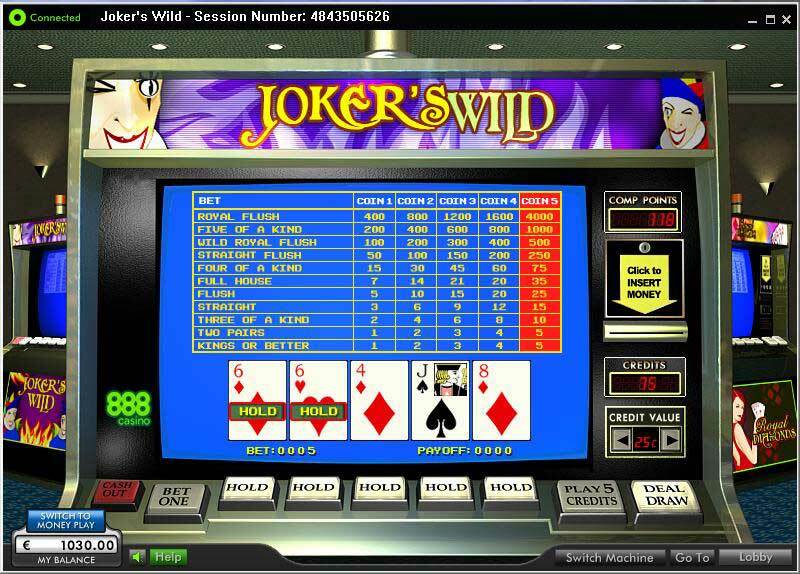 Wagers placed on Video Poker are weighted at 10%, resulting in an effective WR of 300x. Although this might seem like a lot, the fact that the bonus is cashable makes it still a viable choice. The wager weighting for Blackjack is 10%, meaning the wager requirement effectively becomes 300x. Again, the cashability of this bonus makes it still a good deal since Blackjack is such a low house edge game. 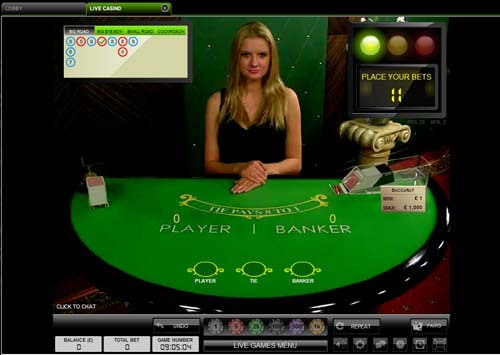 There are two options for Roulette players, normal games and games with live dealers. The live games are quite an interesting deal because the weighting is relatively good at 50%, with an effective WR of 60x. Normal roulette tables have a weighting of 20%, which results in an effective WR of 150x. More resources on the 888 Casino Bonus Offer: 888 Casino Bonus Code. TERMS: Full bonus amount up to $800 on your first deposit. Players must earn points to release the bonus. Bonus clears in $10 increments and expires 30 days after depositing. This sign-up bonus is available to anyone using our links before depositing. Simply create and account, deposit funds, and 888 will give you a matching bonus up to $500. To turn your pending bonus dollars into real money, you must play in real money cash games or tournaments. Paying rake/fees in these games will accumulate Bonus Points, which are needed to clear the bonus. For every 100 Bonus Points you earn, your real money account will be credited with $10 from your bonus account. 888Poker makes things even easier, with a bonus meter at the top of the table while you play. Tournament players – 2 Points per $1 in fees paid. For example, playing a $20+$2 tournament will net 4 Bonus Points. Cash Game – 2 Points per $1 of your contributed rake. This is calculated by multiplying the total rake by the percentage of money you bet in the pot. In this type of rake method, it pays to play more hands, and to be aggressive when doing so. An average $50NL player would need to play up to 75,000 hands to clear the bonus, while a tournament grinder will have to pay $2,500 in tournament fees. This comes out to 20% rakeback. The bonus expires in 90 days, so be ready to grind once you make your deposit. TERMS: Full bonus amount of $100 on your first deposit. Players must use our links to earn the bonus. The bonus must be wagered eight times before players can cash out winnings. 888Bingo will match your initial deposit anywhere from $10 to $100. This bonus does not require a code, just follow our links, deposit funds at their Bingo Hall, and your account will be credited with the bonus. 888Bingo requires players wager their deposit and bonus four times before allowing a withdrawal. For someone who deposits $100 (and receives a $100 bonus), he/she will need to wager $800 before being able to withdrawal their winnings. There is not much more to it than that. Players can earn a 50% up to $50 bonus on any deposit after their first. Players depositing $100 will receive $50 in bonus money, requiring them to wager $600 ($150*4) before withdrawing winnings. This is a nice little perk for staying loyal to 888Bingo.